"It's too hot to get out in summer." Ditch this notion and step out for a journey full of adventure and adrenaline to these beautiful treks at night. Here's a list of top night treks in Pune and here's why you should venture out. Considered as one of the best forts in Satara, Ajinkyatara Fort is about 115 km from Pune. Perched at a height of 3,300 feet, the night trek to this fort is pretty easy and is perfect for novice trekkers. The approximate trekking time is about an hour from the base village of Ajinkyatara. You can stay at the Hanuman Temple which is located at the top of the fort. We hear the temple can accommodate around 12 to 15 people with ease. Unconventional and with a different vibe, Raireshwar is a destination situated amongst hills and fort of Kenjalgad in Bhor Taluka, which is approximately 82 km away from Pune. Did you know this place is excellent for night treks as this place is ideal for night camping and star-gazing. Pack your binoculars and witness the beauty of the universe. Located at an altitude of 2,100 feet, the trek to Vikatgad Fort requires a lot of stamina. The base village is Anandwadi and takes almost 4 hours to complete the trek. The trail is full of waterfalls, dense forests and walking up and down crooked mountain ridges. If you want to stay the night, there’s a cavern at the top of the fort which can house 8 to 10 people at a time. 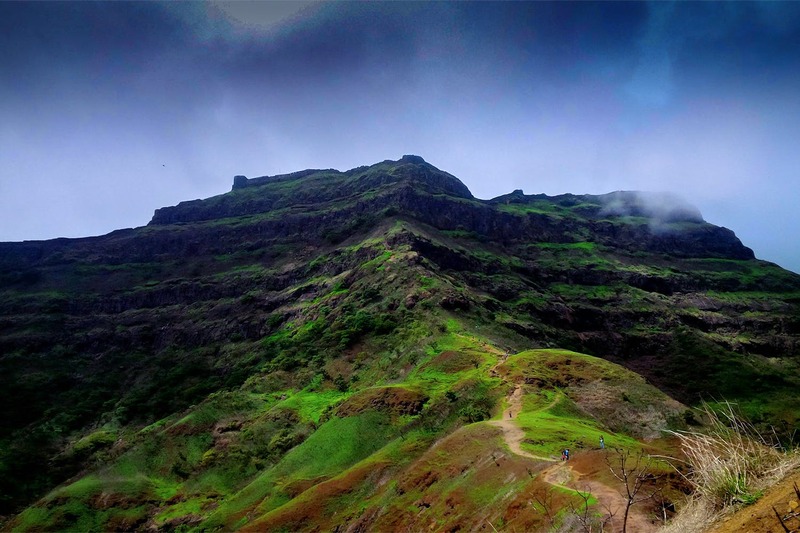 Perched at a height of 4,603 feet above sea level, Torna is definitely the highest fort in and around Pune district. The trek starts from the base village of Velhe and the trail is fairly simple and takes about three hours to reach the top. Once you’re there, you can pitch your tents and spend the night. Must carry water, food and a first aid kit. Located near Bhor, Kenjalgad is a beautiful fort, perfect for a night trek that passes through dense forests and rock-cut steps. The base of the fort is at the village of Ghera Kenjal and takes about half-an-hour to reach the top from there. There’s a small temple in the village which is often used by trekkers to spend the night. But before you head here, remember to carry adequate food and water because it’s almost impossible to find any out here.